1 obi : silk ; 13 x 154 in. 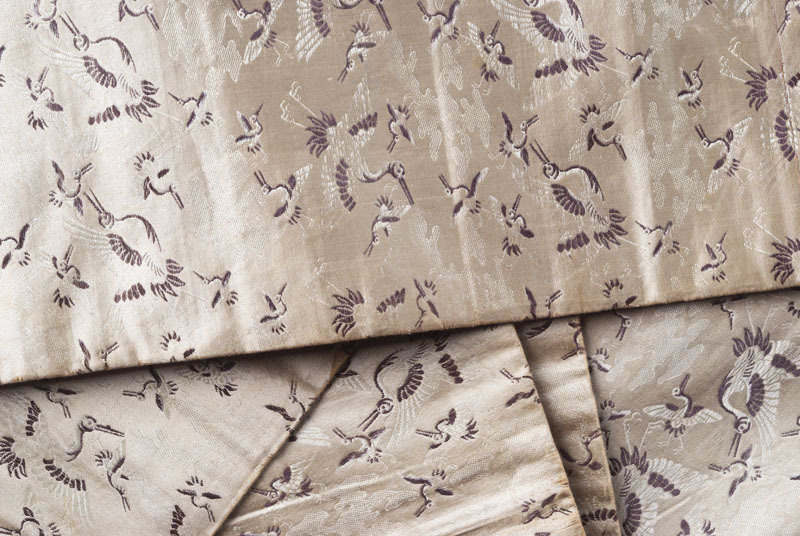 Champagne colored silk brocade obi with large and small cream white cranes with brown accents flying among clouds. The same pattern is repeats on both sides. 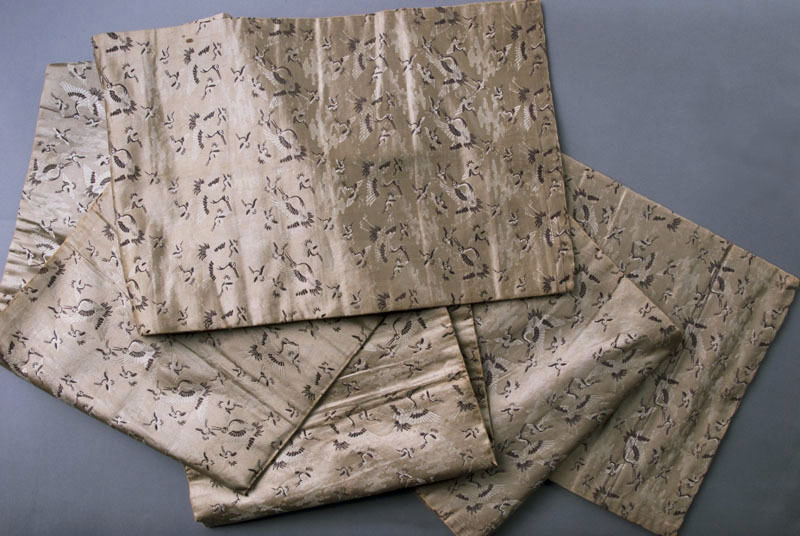 Expensive handmade silk obi with crane design (good luck symbol). Worn with montsuki or wedding because of auspicious design.